In order to create the maximum amount of targeted exposure for my Long Snappers, The TOP 12 Camp was adjusted last year. At each of my Vegas Events (January and May), I will select 20 athletes that dominated each camp and I feel could potentially be ready for the next level. I will also have a maximum of FIVE Wild Card invites each that we can give throughout the year. 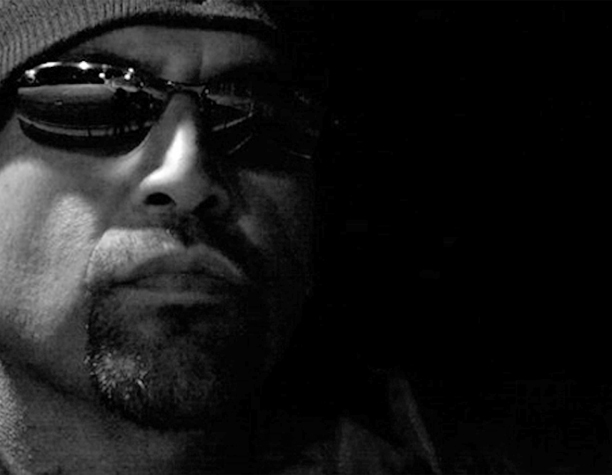 My choice. Any camp. All on me and what I have seen and/or read about throughout the year. Now, here is where things REALLY get interesting. During the summer, at The TOP 12 camp (the term “Event Elite” is officially retired), not only will the athletes have to perform on the field, they will have to perform off the field as well. Each athlete will undergo a full interview process along with several meetings so that we can really grasp who they are and how they will handle the life of a college and/or pro athlete. 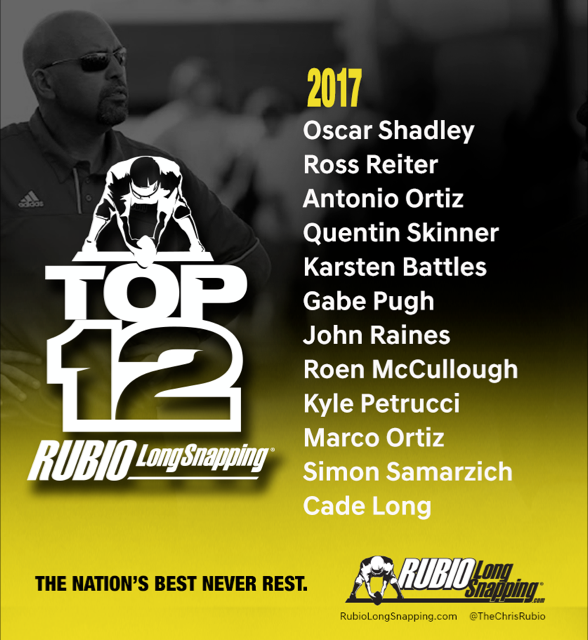 When a Long Snapper is announced on the Rubio Long Snapping Twitter account, they will now be part of an exclusive group. 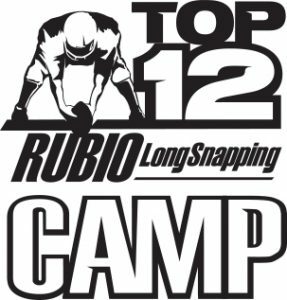 They will now receive a black TOP 12 shirt at their regions Rubio Long Snapping spring camp which they can wear at that camp, VEGAS XXXII in May and definitely at the TOP 12 Camp in July. At the end of the TOP 12 camp, when we unveil the TOP 12, each one of those campers will receive the elusive yellow shirt AND a special hoodie designed by Adidas specifically for those Long Snappers. They will be selected by their mental and physical ability over the three days of the camp. Now, we will REALLY get to see who are The TOP 12 of Rubio Long Snapping! HERE are the 45 invited last year and below are the TOP 12 Long Snappers that made the cut!